For insiders and admirers primarily design 20 to 30 of the 20th century it makes no sense pose the designer of the famous bentwood furniture. 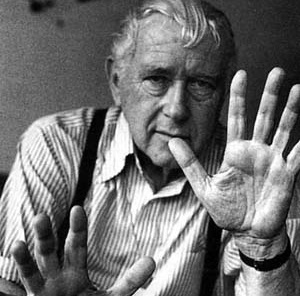 Marcel Breuer is one of the world’s greatest legends of 20th century design. His full name is Marcel Lajos Breuer and was born and lived in Pécs, Hungary, far from the centers of the art world as it was at that time in Paris, London or New York. Originally, he decided to become a painter and studied art. He went to Vienna, where he learned about the newly founded Bauhaus design school in Weimar. Bauhaus sought artistically talented young people from all over the world, regardless of their previous experience, nationality, religion or gender. Which was perfect for a young Jewish man from a remote corner of Hungary. In 1919 Breuer came to the Bauhaus.Thus, in the year of its creation. 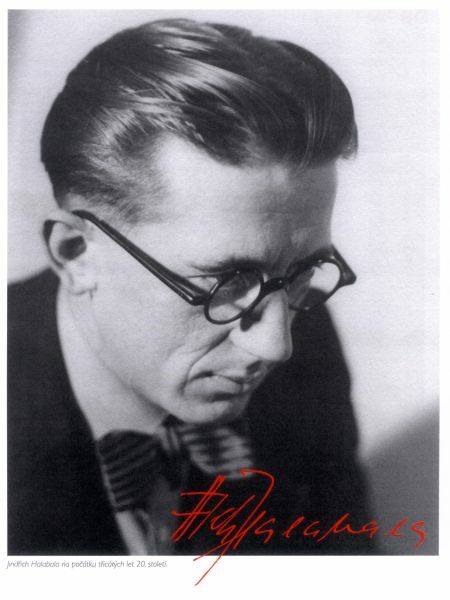 Director Walter Gropius soon found in Breuer great talent and directed by Marcel Breuer to design furniture. The first significant engagement Marcel Breuer related to its supreme position in the construction and textile chain. A major turning point in his work, however, occurred in the period after 1928, when Breuer started experimenting in designing furniture with bent metal pipes. Initially it had inspired bent handlebars of his bicycle brand Adler, as well as chairs made Dutchman Mart Stam. Proposals of Marcel Breuer gave birth to _ collection of furniture from bent metal tubes. And so began the Bauhaus’s vision of mass production of standardized pieces of furniture – not just chairs and stools, as well as tables, tables and beds. Furniture had a small weight was hygienic, flexible, yet stable without requiring the use in the manufacture of complex mechanisms. Thanks to the famous Wassily chairs B3 from 1925, Marcel Breuer enrolled in design history. Breuer eventually founded his own company for the production of bentwood furniture whose production rights sold to Thonet company. Meanwhile, he could design and produce the most successful chair of the 20th century, based on the principle of the cantilever beam, which was originally identified only as B32, but since 1960, was named by Breuer’s daughter Francesca and the designation “Cesca”. Like many other pieces of furniture designed by him are still manufactured today. Even during his long stay in Switzerland (1932-1934) and London (1935-1937) Breuer was devoted design furniture, but later design activities ended. Since 1937, Marcel Breuer has resided in the United States, where he met his mentor Gropius. He designed many prominent buildings, usually quite strong and dynamic character. Such as The building is the headquarters of UNESCO in Paris, The Department store in Rotterdam, IBM Research Center in La Gaude, France, and in terms of architectural history major main building, “Whitney Museum of American Art” in New York which was completed in 1966. Marcel Lajos Breuer died in 1981 as one of the leading architects of the 20th century and its influence on the work of art and furniture design of the 20th century is still with us. Let´s introduce this European and world giant of furniture design mainly of second third of the 20th century and the mid-century. Professor Halabala was born in 1903 in Koryčany, a city which is located in Moravia in the Czech Republic. He graduated from art school in Prague and in 1928 started in the famous furniture factory UP Závody as the head of the Prague shop. Later on he became the chief architect of the Brno UP Závody, a venture that was considered one of the most successful in Europe. It affects the development of the set-up of furniture, which was produced in the basic series under the name H and E. At this time is being propossed a genuine world-famous pieces of seating furniture and one of the first and original models of metal furniture, which were produced after 1930 in Hodonin branch of the UP Závody. As the author unconventionally solved metal models seating furniture which is also appreciated in the international context. Among his lesser-known works include designs of carpets, which are completely beyond the still deeply rooted trends. Jindřich Halabala achieved a main aim and objective of the period : series production of furniture of the highest quality products and reasonable prices, thanks to this products beca avame available to the broadest sections of the population. Furniture of UP Závody, mainly the production of Jindřich Halabala is pushed through the optimum combination of superior design, functionality and efficiency. He became a leading inspiration folllowed by many other manufacturers throughout Europe. In the tradition of the ÚP Závody were continued by number of smaller producers of furniture in Moravia, their example was followed by dozens of factories in Prague and elsewhere. Future work of Jindřich Halabala was badly affected by the incoming communist regime, in 1946 factory was nationalized as one of the largest furniture manufacturers in Europe . In the second half of the sixties of the twentieth century was built a new plant in Rousínov, at that time the largest and most modern in Central and Eastern Europe. Despite of the overall polical presure the Halabala system had not changed, wavered in their activities, resourcefulness and creativity. Thanks to its original features Halabala is suggested to be nationalized : huge variety of other exceptional pieces as seating and also cabinet, the bedroom and so on. His legacy continue to stay with us. Halabala was one of the most progressive and timeless architects worldwide and is a great happiness that he left many of his works. 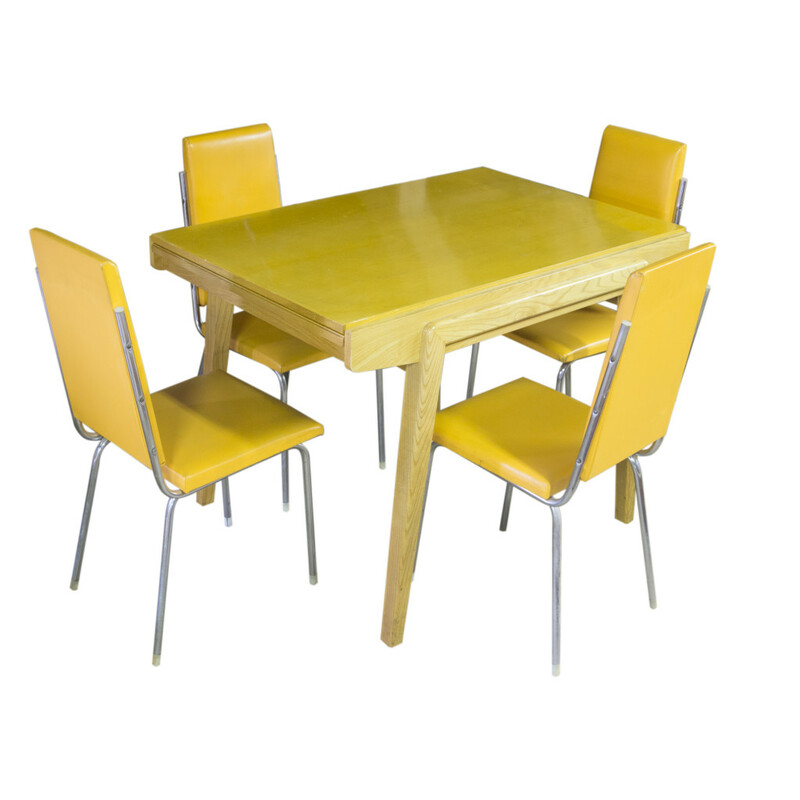 Asking a question why items, supplements and furniture from the period about mid-century are becoming increasingly popular, it is not easy. Is it for a nostalgy? Have designers previously been more imaginative than the contemporary? Or is contemporary design because of its simplicity so variable, that can be coordinated and combined with Vintage? All these questions can be answered affirmativly in principle. Vintage can really make miracles with using the contemporary interior designers. The question is what can already be considered vintage …. It is the period from the 60s? Or earlier? We find under this term really equipped the period of beginning of mid-century. Especially the 60s and 70s. In this period there was a new wave of world-renowned designers to simplify the overall design still ingrained furniture. Many of us remember the design of our homes or the homes of our grandmothers and grandfathers, and we hardly had assumed that someday would be so popular.